Aja-Fernández, S., T. Pieciak, and G. Vegas-Sanchez-Ferrero, "Spatially variant noise estimation in MRI: A homomorphic approach", Medical Image Analysis, vol. 20, pp. 184 - 197, 2015. Canales-Rodríguez, E. J., A. Daducci, S. N. Sotiropoulos, E. Caruyer, S. Aja-Fernández, J. Radua, J. M. Yurrame Mendizabal, Y. Iturria-Medina, L. Melie-García, Y. Alemán-Gómez, et al., "Spherical Deconvolution of Multichannel Diffusion MRI Data with Non-Gaussian Noise Models and Spatial Regularization", PLoS ONE, vol. 10, pp. e0138910, 2015. Merino-Caviedes, S., L. Cordero-Grande, T. Pérez M Rodríguez, T.. Sevilla-Ruiz, A.. Revilla-Orodea, M. Martin-Fernandez, and C. Alberola-Lopez, "Tissue and Label Modelling for Segmentation of Scar with Contour Correction in Cardiac DE-CMR Volumes", XXXIII Congreso Anual de la Sociedad Española de Ingeniería Biomédica, Madrid, Spain, 2015. Merino-Caviedes, S., L. Cordero-Grande, M.. T. Pérez Rodríguez, T.. Sevilla-Ruiz, A.. Revilla-Orodea, M. Martin-Fernandez, and C. Alberola-Lopez, "Tissue and Label Modelling for Segmentation of Scar with Contour Correction in Cardiac DE-CMR Volumes", XXXIII Congreso Anual de la Sociedad Española de Ingeniería Biomédica, Madrid, Spain, 11/2015. Luo, C., P. Casaseca-de-la-Higuera, S. McClean, G. Parr, and C. Grecos, "Analysis of coloured noise in received signal strength using the Allan Variance", Signal Processing Conference (EUSIPCO), Proceedings of the 22nd European, vol. 22: IEEE, pp. 994-998, 2014. Martín-Martínez, D., P. Casaseca-de-la-Higuera, J. M. Andres-de-Llano, J R. Garmendia-Leiza, S. Alberola-Lopez, and C. Alberola-Lopez, "Automatic detection of wakefulness and rest intervals in actigraphic signals: A data-driven approach", Medical engineering & physics, vol. 36, no. 12: Elsevier, pp. 1585–1592, 2014. Gibson, R. M., A. Amira, P. Casaseca-de-la-Higuera, N. Ramzan, and Z. Pervez, "An efficient user-customisable multiresolution classifier fall detection and diagnostic system", 26th IEEE International Conference on Microelectronics (ICM 2014), Doha, Qatar, 2014. Curiale, A. H., A. Haak, G. Vegas-Sanchez-Ferrero, B. Ren, S. Aja-Fernández, and J. G. Bosch, "Fully Automatic Detection of Salient Features in 3-D Transesophageal Images", Ultrasound in medicine & biology, vol. 40, issue 12: Elsevier, pp. 2868-2884, 07/2014. Vegas-Sanchez-Ferrero, G., M. Martin-Fernandez, and M. J Sanches, "A Gamma Mixture Model for IVUS Imaging", Multi-Modality Atherosclerosis Imaging and Diagnosis: Springer New York, pp. 155–171, 2014. Ali, A. Ait Si, M. Siupik, A. Amira, F. Bensaali, and P. Casaseca-de-la-Higuera, "HLS based hardware acceleration on the zynq SoC: A case study for fall detection system", IEEE/ACS 11th International Conference on Computer Systems and Applications (AICCSA 2014), Doha, Qatar, 2014. Whitford, T. J., S. Woo Lee, J. S. Oh, R. de Luis-Garcia, P. Savadjiev, J. L. Alvarado, C-F. Westin, M. Niznikiewicz, P. G. Nestor, and R. W. McCarley, "Localized abnormalities in the cingulum bundle in patients with schizophrenia: A Diffusion Tensor tractography study", NeuroImage: Clinical, vol. 5, pp. 93–99, 2014. Cordero-Grande, L., J. Royuela-del-Val, M. Martin-Fernandez, and C. Alberola-Lopez, "MOWHARP: Multi-Oriented Windowed HARP Reconstruction for Robust Strain Imaging", Proceedings of the International Society for Magnetic Resonance in Medicine 22, 2014. Merino-Caviedes, S., L. Cordero-Grande, A.. Revilla-Orodea, M.. T. Perez, M. Martin-Fernandez, and C. Alberola-Lopez, "Multi-stencil streamline fast marching: a general 3D framework to determine myocardial thickness and transmurality in late enhancement images", Medical Imaging, IEEE Transactions on, vol. 33, pp. 23–37, 2014. Aja-Fernández, S., G. Vegas-Sanchez-Ferrero, and A. Tristán-Vega, "Noise estimation in parallel MRI: GRAPPA and SENSE", Magnetic resonance imaging, vol. 32, no. 3: Elsevier, pp. 281–290, 2014. Canales-Rodríguez, E. J., A. Daducci, S. N. Sotiropoulos, E. Caruyer, S. Aja-Fernández, J. Radua, Y. Yurramendi Mendizabal, Y. Iturria-Medina, L. Melie-García, and Y. Alemán-Gómez, "Spherical deconvolution of multichannel diffusion MRI data with non-Gaussian noise models and total variation spatial regularization", arXiv preprint arXiv:1410.6353, 2014. 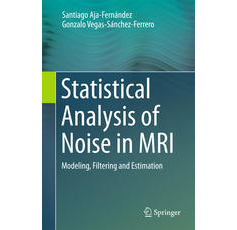 Aja-Fernández, S., G. Vegas-Sanchez-Ferrero, and A. Tristán-Vega, "Statistical Noise Analysis in SENSE Parallel MRI", arXiv preprint arXiv:1402.4067, 2014. Martín-Martínez, D., P. Casaseca-de-la-Higuera, M. Martin-Fernandez, A. Amira, C. Luo, C. Grecos, and C. Alberola-Lopez, "A stochastic modelling framework for the reconstruction of cardiovascular signals", Engineering in Medicine and Biology Society (EMBC), 2014 36th Annual International Conference of the IEEE, vol. 36: IEEE, pp. 676-679, 2014. Arribas, J. I., Sunflowers: growth and development, environmental influences and pests/diseases., , New York, Nova Science Publishers, pp. 323, 2014. De la Cruz, C., AL. Guerrero, ML. Penas, D. Argibay-Quiñones, J. M. Sierra, S. Aja-Fernández, and R. de Luis-Garcia, "White matter abnormalities in chronic migraine patients are located in anterior corpus callosum: study using a new automatic tractography selection method", EUROPEAN JOURNAL OF NEUROLOGY, vol. 21: WILEY-BLACKWELL 111 RIVER ST, HOBOKEN 07030-5774, NJ USA, pp. 51–51, 2014. Ruiz-Alzola, J., C. Alberola-Lopez, and C-F. Westin, "Advanced signal processing methods for biomedical imaging", International journal of biomedical imaging, vol. 2013: Hindawi Publishing Corporation, 2013. Vegas-Sanchez-Ferrero, G., G. Ramos-Llorden, R. de Luis-Garcia, A. Tristán-Vega, and S. Aja-Fernández, "Anisotropic diffusion filtering for correlated multiple-coil MRI", Engineering in Medicine and Biology Society (EMBC), 2013 35th Annual International Conference of the IEEE: IEEE, pp. 2956–2959, 2013. González-Jaime, L., M. Nachtegeal, E. Kerre, G. Vegas-Sanchez-Ferrero, and S. Aja-Fernández, "Applying a parametric approach for the task of nonstationary noise removal with missing information", Computational Cybernetics (ICCC), 2013 IEEE 9th International Conference on: IEEE, pp. 23–28, 2013. Cordero-Grande, L., T.. Sevilla-Ruiz, A. Revilla, M. Martin-Fernandez, and C. Alberola-Lopez, "Assessment of the fibrotic myocardial tissue mechanics by image processing", Computing in Cardiology Conference (CinC), 2013: IEEE, 2013.
de Luis-Garcia, R., G. Vegas-Sanchez-Ferrero, S. Aja-Fernández, and C. Alberola-Lopez, "Atlas-based segmentation of white matter structures from DTI using tensor invariants and orientation", Engineering in Medicine and Biology Society (EMBC), 2013 35th Annual International Conference of the IEEE: IEEE, pp. 503–506, 2013.